The lead is ostensibly Stuart Whitman, but Richard Boone steals this better-than-average western, and actually gets top billing in the wake of his Have Gun Will Travel stardom on television. Jim Brown doesn’t have many lines in his movie debut, made just before his last football season, but he looks good and conveys a sense of fighting expertise. In 1867, Capt. Haven (Whitman) and Sgt. Franklyn (Brown) are transporting 2000 repeating rifles from St. Louis to Texas. 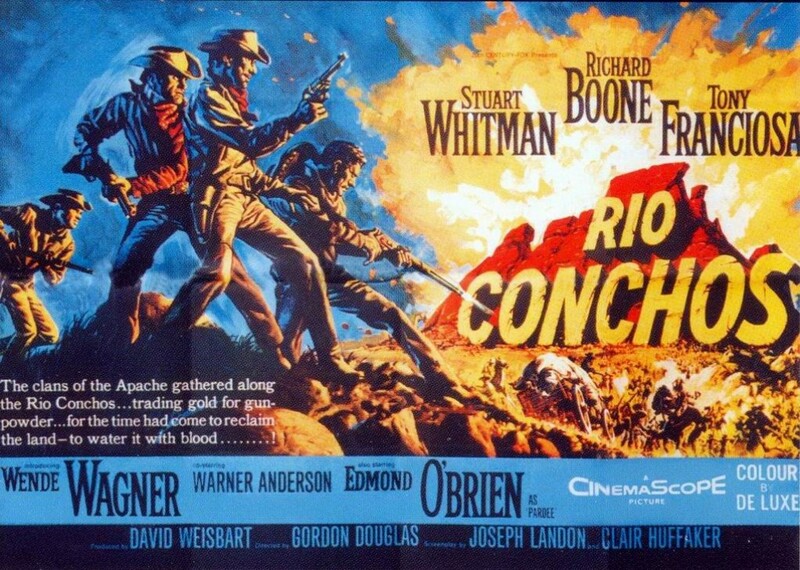 The rifles are stolen by a former Confederate, Col. Theron (“The Grey Fox”) Pardee (Edmond O’Brien), who takes them to Mexico. Pardee plans to sell them to Apaches led by Bloodshirt (Rodolfo Acosta as the Apache chief, just as he was in Hondo and Trooper Hook). Former Confederate Major Jim Lassiter (Boone) returned from the war to find his wife and son killed by Apaches, and he has become a revenge-obssessed alcoholic. The movie starts with a scene of Lassiter killing half a dozen Indians at a burial. 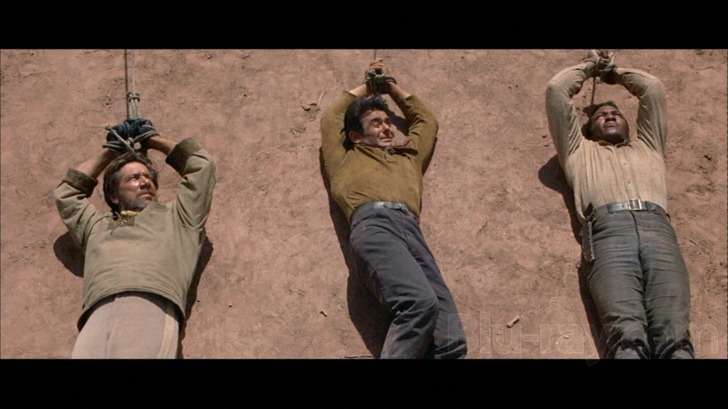 When Haven finds Lassiter with one of the stolen rifles and tosses Lassiter in jail, Lassiter is forced to help Haven and Franklyn try to recover or destroy the guns across the Rio Grande in Mexico. He reluctantly agrees, if they take Rodriguez (Tony Franciosa), a charming Mexican murderer also in jail, who speaks both Spanish and Apache. The four don’t trust each other, and that’s where much of the drama lies for this movie. How good is Lassiter’s word? Can Rodriguez be relied on? Does Haven know what he’s doing? Capturing the Apache maiden (Wende Wagner). Along the way they acquire a prisoner, Apache maiden Sally (Wende Wagner in dark paint and decolletage), who adds another note of hostility to the group although she doesn’t speak English. They make their way into Mexico with a wagon load of gunpowder as bait for the gun thieves, fighting among themselves and with Mexican banditos and Apaches. Lassiter is the most resourceful fighter and tactician among them, but they all have their strengths (as with The Professionals two years later). They finally find Pardee on the Rio Conchos (a tributary of the Rio Grande, extending into the state of Chihuahua), along with the rifles and Bloodshirt’s Apaches, but are captured by the Indians and tortured before an explosive ending. There’s lots of action, most of it well-filmed. Whitman is somewhat wooden and his part seems a little underwritten, but Boone is great, with a magnificent voice and weatherbeaten looks. Franciosa is also very good, but his characterization (and that of most Mexicans in this movie) will strike current audiences as a little broad and perhaps stereotypical. Wende Wagner, in her first movie, is the weak link, both in acting and in her part as written in the movie. She doesn’t look much like an Indian (although she apparently had some Indian ancestry along with German and French), and her movie career didn’t develop into much. Most of the dramatic tension comes from trying to figure out whether the four or five central characters will be, on balance, good or bad. In the end only Haven and Sally survive the final action, and improbably they seem to go off together. But Lassiter does get Bloodshirt, or, rather, they get each other. 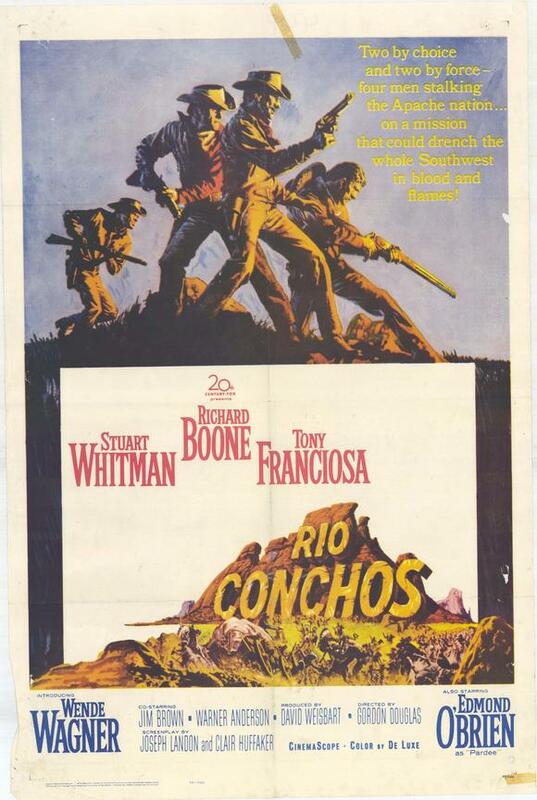 This movie has a darker and grittier tone than, say, The Comancheros, which has a similar plot (stopping the sale of firearms to Indians) and the same screenwriter. 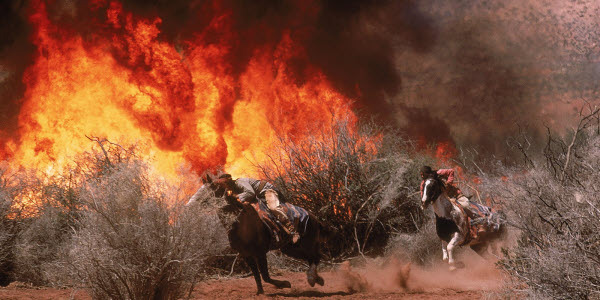 It probably suffered in its time for being an ensemble piece without instantly identifiable good guys, instead of a John Wayne-style obvious good guys vs. obvious bad guys western of the sort that audiences were used to then. Lassiter, the most compelling character, is sometimes hard to identify with. But that also makes it less predictable in its way. 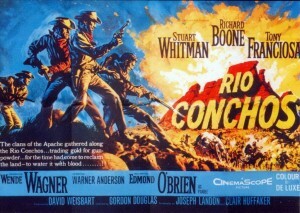 An underrated and, these days, seldom seen western. Filmed in Arizona and around Moab, Utah. 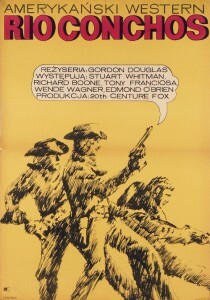 Screenwriters are Joseph Landon and Clair Huffaker (who also wrote The Comancheros, The War Wagon and the novel on which this film is based). Good early score by Jerry Goldsmith. Available on DVD as of 2011 together with Take a Hard Ride, a spaghetti western featuring Jim Brown on another expedition into Mexico. 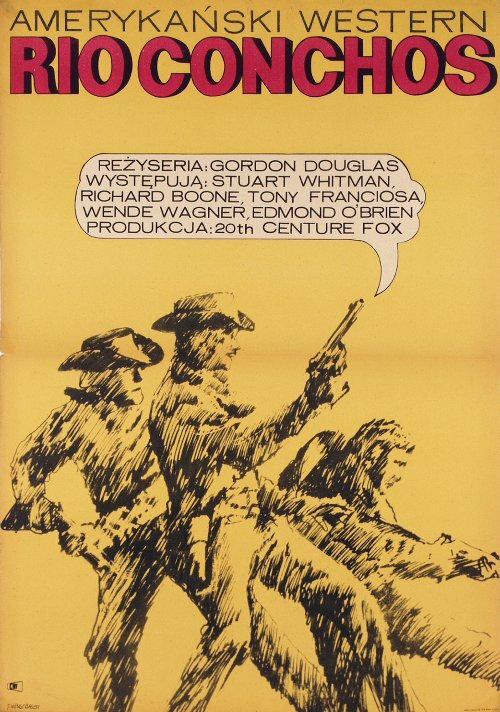 This was probably the best western directed by Gordon Douglas, who also directed Fort Dobbs, Yellowstone Kelly and the 1966 Stagecoach remake, along with Barquero and at least one episode of Maverick. This entry was posted in Westerns Worth Watching and tagged Adventures in Mexico, Civl War Aftermath, Clair Huffaker, Jim Brown, Native Americans (Indians), Richard Boone, Selling Guns to the Indians on November 12, 2013 by Nicholas Chennault.